Sydney Swans midfielder Luke Parker searching for a target in the club's clash with the Western Bulldogs on Saturday. Blossoming Sydney Swans on-baller Oliver Florent says the side is backing the midfield brigade to lead the charge in Friday night’s clash with the Adelaide Crows. The Swans will be on the hunt for their first win of the season as they descend on the SCG for their first home game of 2019, and Florent insists there are no doubts names like Josh Kennedy, Luke Parker and George Hewett can pave the way a week on from Sydney’s season-opening loss to the Western Bulldogs. “We have full trust in our players to get it done in the midfield,” Hewett told Melbourne radio station SEN.
“We’ve got a wide variety of players, which makes our midfield group really unique. “The odd poor week of our midfield stars is nothing compared to what they’ve done across their careers. They’re going to turn it around this week, have strong games and give it a crack. Both sides will roll out a host of dangerous midfielders with Sydney’s Kennedy, Parker, Hewett, Isaac Heeney, Callum Mills, Tom Papley and Florent set to collide with Rory Sloane, Matt and Brad Crouch, Bryce Gibbs and Wayne Milera. Florent signed with the Swans via the 2016 AFL Draft and slotted in to Sydney’s forward line in his first season in red and white. But he joined speedster Harry Cunningham on a wing in 2018 and is now building into an inside-outside midfielder, which is seeing him split his time between stoppages and a wing. 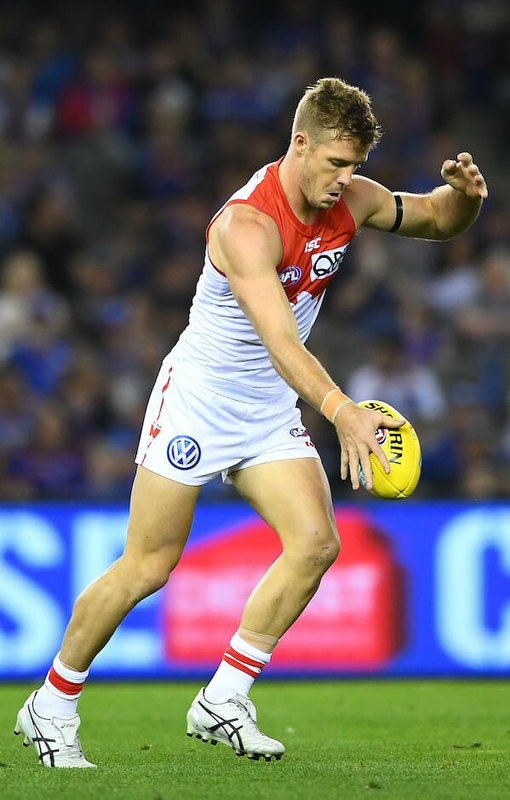 Further up the ground, the Dogs match saw star forward Sam Reid make his first AFL appearance since Round 3 last year, with the 27-year-old completing a comeback from a long battle with injury. Florent says it’s great to have the towering Swan back on deck. “He’s a super player for us and has been for a very long time,” Florent said.